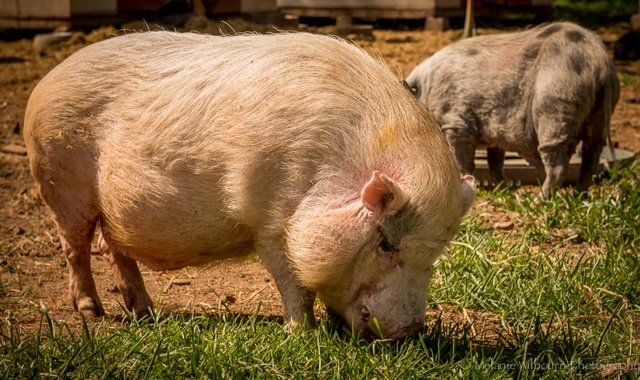 Piece of Peace Animal Sanctuary was founded in 2005 and is a registered 501(c)(3). Although the Sanctuary focuses on the rescue of farm animals, it is also dedicated to the rescue, care and placement of any animal in need. We stand against oppression and violence towards all beings and hope that our little “piece of peace” will continue to spread a little happiness and will encourage and empower people to fight for those helpless animals who have no say in their destiny. We hope that our efforts ultimately educate the general public about the cruelty and abuses suffered by both domesticated and farmed animals and will help promote a healthy, cruelty-free vegan lifestyle of compassion and selflessness.